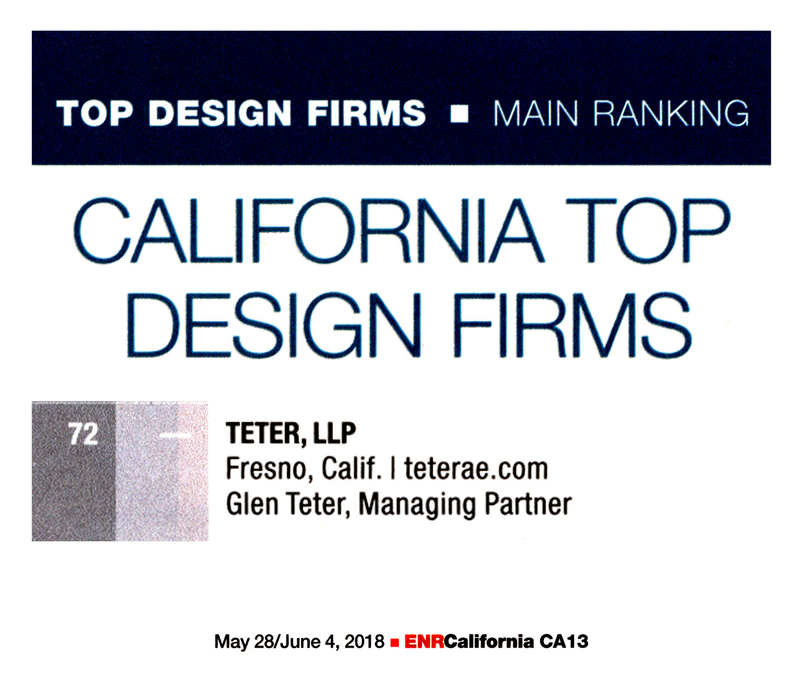 Engineering News-Record (ENR) has featured TETER as one of 2018’s “California Top Design Firms” in their May/June magazine. 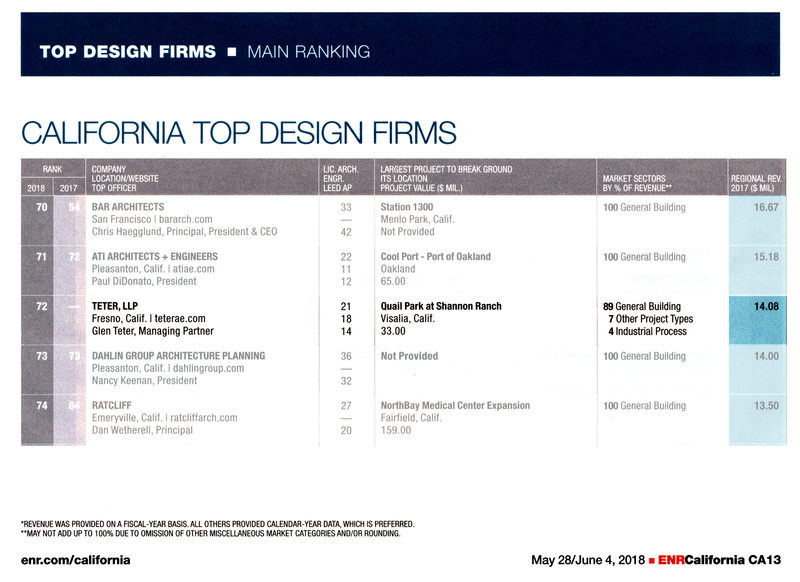 The ENR California Top Design Firms list, ranks the largest U.S.-based design firms, both publicly and privately held, based on design-specific revenue. TETER Architects and Engineers, the only design firm headquartered in the San Joaquin Valley included on ENR’s list, is honored to be included with prestigious nationally-recognized design firms. Our mission is to “build a better valley”. We strive to help make central California a desirable community to live, work, and play.